Find safe and effective therapies that will improve the lives of cancer patients. 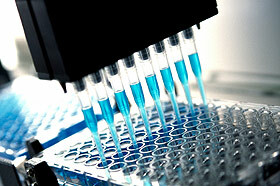 Apexian is a biotechnology company focused on developing novel compounds to treat cancer. Our lead drug candidate – APX3330 – targets the APE1/Ref-1 redox protein, a molecule found in many cancers, including tumors of the colon, lung, breast, pancreas, and others. Our experienced team of research scientists and clinical specialists are nearing the completion of a phase 1 study in patients with advanced cancer. Apexian will now begin phase 2 clinical development of APX3330 in a variety of indications, including cancer, chemotherapy induced peripheral neuropathy, diabetic macular edema, and others. Our scientific founder and Chief Scientific Officer, Dr. Mark R. Kelley, is the world’s leading expert in APE1/Ref-1 protein biology. He is also the Betty and Earl Herr Chair in Pediatric Oncology Research and Professor in the Departments of Biochemistry & Molecular Biology and Pharmacology & Toxicology, Indiana University School of Medicine. 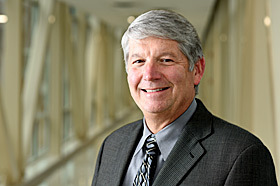 Dr. Kelley is the Associate Director of the Herman B Wells Center for Pediatric Research and for Basic Science Research at the IU Simon Cancer Center. Our science is unique and represents first-in-class therapeutic potential. Inhibition of the APE1/Ref-1 redox protein affects signaling pathways critical to cancer cell survival. 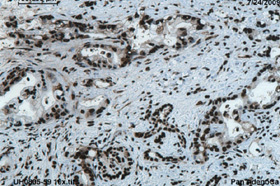 APX3330 has shown dramatic anti-cancer and anti-inflammatory effects in numerous pre-clinical models of human cancers. Our human studies will evaluate the efficacy and safety of APX3330 in patients with a variety of cancers and inflammation-related conditions that express the APE1/Ref-1 protein. Our clinical plan is focused on developing APX3330 for treatment of cancer and other diseases controlled by the APE1/Ref-1 protein. These diseases constitute areas of high unmet medical need, and include deadly forms of cancers of the lung, colon, breast, pancreas, brain, blood, pediatric cancers, and others, including chemotherapy induced peripheral neuropathy and diabetic macular edema. INDIANAPOLIS, Ind. –Apexian Pharmaceuticals is shedding light on the question of how pre-leukemic cells transform into full-blown leukemia. Genetic mutations by themselves are rarely enough to flip the switch. Inflammation also plays a role. But, until now, the question of “how” remained unanswered.